i have been a little hit and miss with my posting lately because liv wasn't feeling all that great this last week, just a little runny nose and nothing to extreme but she definitely needed some serious mommy time and lots of snuggling so i took advantage and put blogging on the back-burner for a few days. so even though my posts are a little "late" they are at least fashionably late! 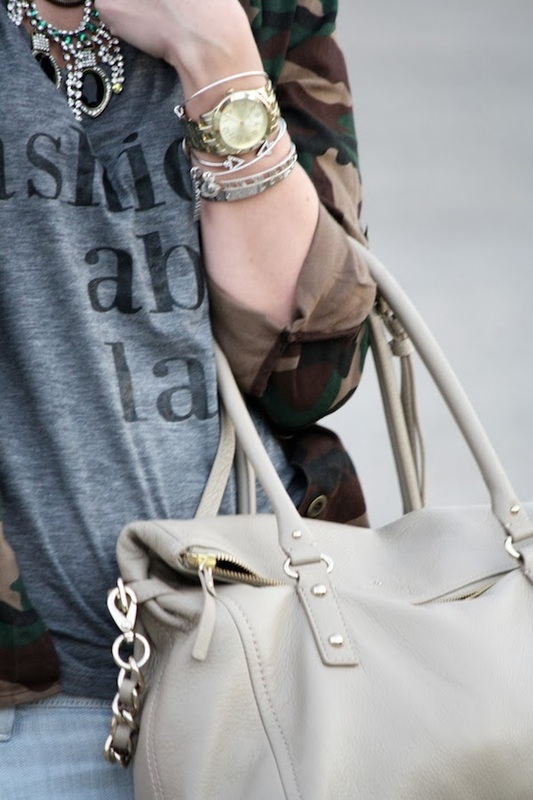 Loving the casualness of this look. That tee is kind of amazing. Get it girl! Adorable look here! 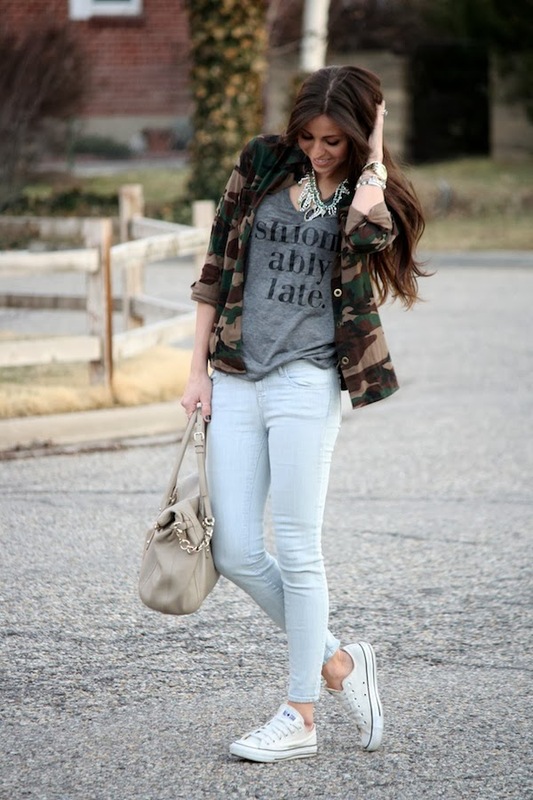 Loving that T and camo jacket. Stunning as always :) I hope your little one feels better soon! 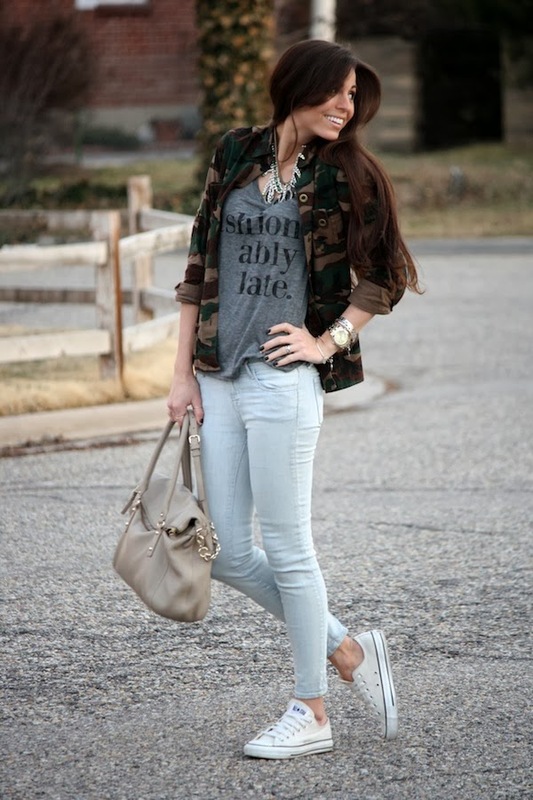 I NEED this shirt haha I am always fashionably late! How does the sizing on this shirt run? I love how you make every outfit look so effortlessly chic. I wish I could pull that off! Love it , thanks for sharing!